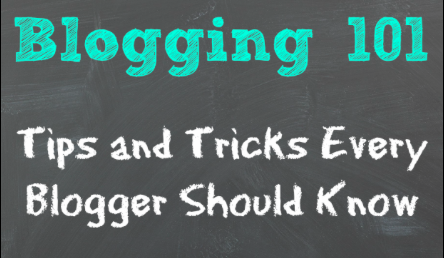 Even though I have been blogging for 5 years now, I am always learning new tips and tricks. One of the biggest thing I have learned is that what works for one person may not work for another. From what platform to use, to how often to blog and where to share, all these are determined by you and what your mission is with your blog. Recently, the Tampa Bay Bloggers hosted a #TampaBayTuesday Twitter chat on blogging and I wanted to share some of the great tips and tricks we discussed. WordPress and Blogger are the two most popular. Which platform you use depends on what your blog will be used for and your needs. Both WordPress and Blogger have different terms of service and both offer different features. I started with Blogger and while it worked fine for my first year of blogging, I quickly realized that WordPress was a much better fit for me. The widgets, plug-ins, and ease of use were key for me. Also, switching to self-hosted was a big step for me, one that I likely would not have done if not on WordPress. This takes time and can be one of the most stressful things about blogging. I went into writing it just for me. If someone happened to read it, that was fantastic. But it was an outlet for me. As I began to grow and my blog took on a life of it’s own, a following grew with it. Here are some great tips for building an audience. Which social media outlets are best? You can use these platforms as a mini-blog to build followers and lead them to your blog. This is one of the questions I hear people ask most. One of my favorite things about MY blog is that is it MINE and I can determine when I want to blog. I never want to blog because I have to. I blog because I want to, when I want to. Certainly, there are times I need to blog about an event or a product but I work that into what I am doing. And most importantly, I never make up content. If I don’t have something to blog about,I just don’t. How often you blog is dependant on your blog and your content. The more you blog, the more relevant your blog will be as far as keeping your name active on social media. But, I also believe that writing more relevant content a couple times a week is better than writing just to write every single day. Do what works best for you and stay true to that. Use time-savers for social media shares. Hootsuite – this one is my favorite. You can schedule social media shares on the social media platforms of your choice. Spending an hour on a Sunday scheduling shares out for a couple weeks in advance is a huge time saver for me. There is also a Hootsuite iPhone app which is great for when I‘m on the go. Idea list or editorial calendar? Some bloggers swear by editorial calendars, others just fly by the seat of their pants. I prefer keeping a list of blog post ideas in my planner. I then fit it in when I feel it works best. If you want the structure of an editorial calendar, there are plug-ins that are very easy to use. What is the best way to monetize your blog? Find a local blog group and network. One of my favorite things is being a part of the Tampa Bay Bloggers. I have made several friends through my blog and this group. We share a common interest in that we love to blog and having that is helpful when you have questions. It also opens the doors to many opportunities that you may not have otherwise. The world of blogging is always changing. What works for you and your blog right now, may not work in six months or a year. It is good advice to go through your blog, plug-ins, widgets, etc… a couple times a year and see what needs updating. If you have outgrown a feature, than replace it with one that might be more relevant for you at that time. Stay true to your blog and your brand and enjoy the ride! There are many other tools out there. The ones mentioned here are just a few. I’d love to hear if you have any favorite tools or plug-ins that work for you! I just went self hosted and can’t wait to check out some of the plugins!! Congrats on going self-hosted! There are so many plug-ins. Also, now you can do Rafflecopter give-aways. Hi Nanci, I agree that starting a blog is essential in today’s Internet world, but getting a blog started and hosted can be daunting for most writers who want to focus on the craft and not the technical part of blogging. To help, I’ve created a how to start a blog post, which is link in my name. I hope you find it useful to leave it up for your readers.